High-Intensity Interval Training has been dominating the fitness industry for the past few years now. Many fitness professionals will have received a steady stream of requests from their clients to offer HIIT workouts at their gym facilities and studios. Recently at Origin Fitness, we noticed the demand for HIIT Cardio Machines increase and have focused on the equipment which lends itself to this training style. But what specific characteristics of a cardio machine make it suitable for High-Intensity Interval Training? 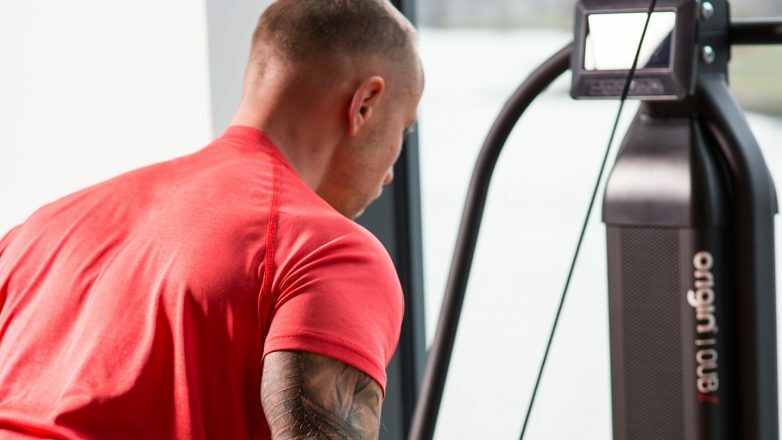 For these new-to-market options and the cardio machines which have already demonstrated their HIIT effectiveness, there is a variety of defining features which allow them to meet these training needs. In this article, we have explained certain characteristics that will let you identify why a cardio machine might be well suited to your HIIT session. 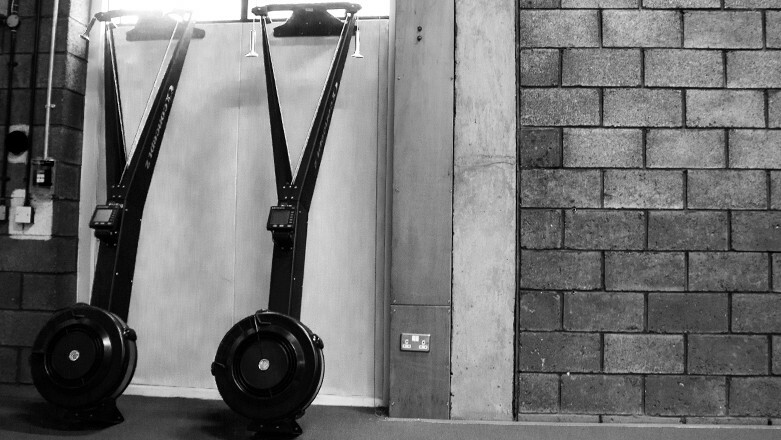 To make a machine ideal for any given HIIT session, it must be quickly engaged. This means minimal buttons to press and no long wait for a motor to get up to speed. The best HIIT cardio machines will require only human force to start "working" and will disengage the moment the user does as well. This provides the hop-on-hop-off effect many coaches seek in their equipment and that is useful for HIIT workouts in group circuit scenarios. In addition to their HIIT related benefits, these self-powered machines are more cost effective and will require less maintenance over time. There are fewer electrical components that could break down or require repairs. Apart from bearings, belts and some wheels, it's really the user that makes the machine what it is. Motorised equivalents are often more expensive and labour intensive to repair, so these self-powered machines are a worthwhile investment to consider even if you are not planning on any HIIT workouts. The added power required to push a self-powered machine into action will activate core strength as well as cardiovascular activity, causing the user to burn more calories and bring the heart rate up faster than a standard motorised machine might have done. 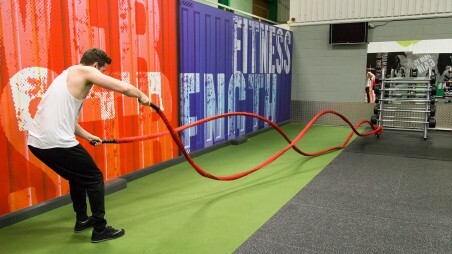 A good example of a piece of equipment where the motorised original would be less well suited to HIIT than it's self-powered alternative is the curved treadmill. 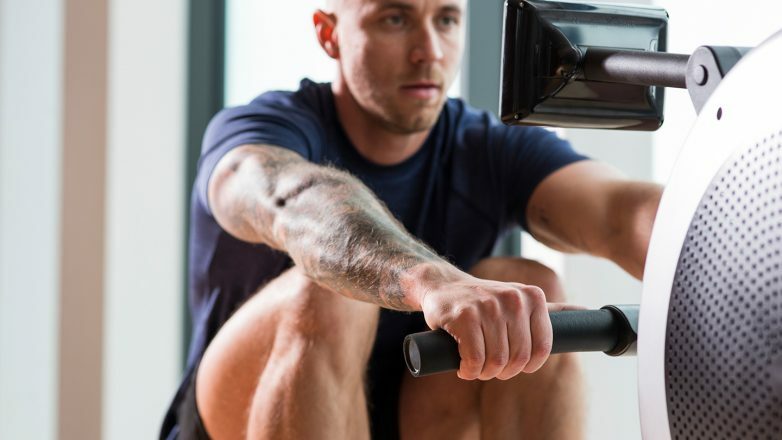 Other examples of machines which have become common features in HIIT sessions are rowing machines, ski-ergs and air bikes - all of which offer a total body workout recruiting a wide range of muscle groups. Their independence from electricity makes them perfect to use anywhere in your facility. Being light and easily transported means you can maximise the use of your space and quickly arrange the gym for circuit style sessions. 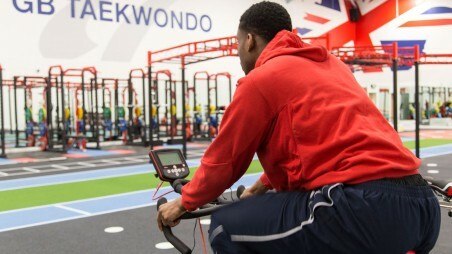 For large group circuits, gym layout can be a hugely important factor in planning sessions, so the ability to store rowers upright in a corner or even wheel curved treadmills and air bikes into another room can allow you to increase the capacity and safety of classes. Effective class setup can mean athletes aren't using rest periods to run from one side of the gym to another. It lets you coordinate stations to make moving around between different exercises quicker and easier. A common trend in popular HIIT cardio machines is the replacement of the traditional magnetic flywheel with a large air resistance fan. 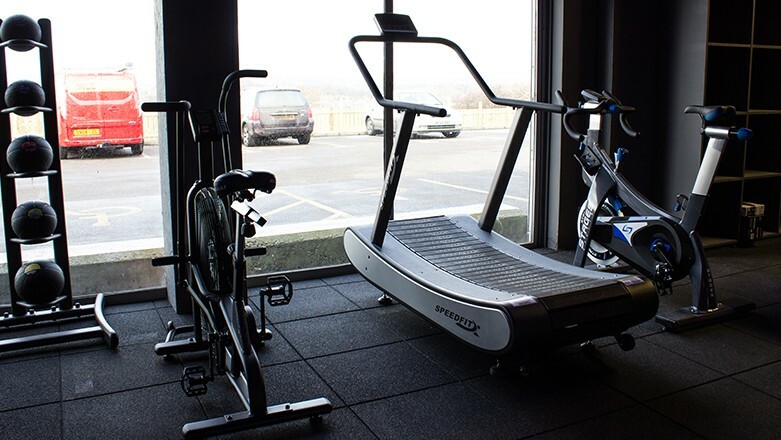 Machines such as the Stairmaster AirFit and the Cybex SPARC utilise the frontal fan to generate resistance. Although at first glance fewer resistance settings seem available, these fans are actually a lot more versatile than you might expect. The fan blades moving through the air is what creates the resistance. At low speeds the resistance is weak as you aren’t trying to push too much air out of the way. But the faster you pedal the more air the fan blades are pushing out the way, therefore generating more resistance for your workout. Firstly, you don't need to fumble about with settings before working out- you can just push harder if you want more resistance, or slow down for immediate release of resistance. These machines really focus on the "get-on-and-go" concept, perfect for a HIIT session. Secondly, these machines can be placed in a class with members of varying sizes, strengths and fitness levels as the fan resistance will mean that everyone can push themselves to their own limits with little to no adjustment. Rather than picking levels of resistance or incline, you can focus on exertion levels for a personalised workout. While traditional cardio machines often come with hi-tech consoles, their HIIT equivalents certainly don't leave users wanting. 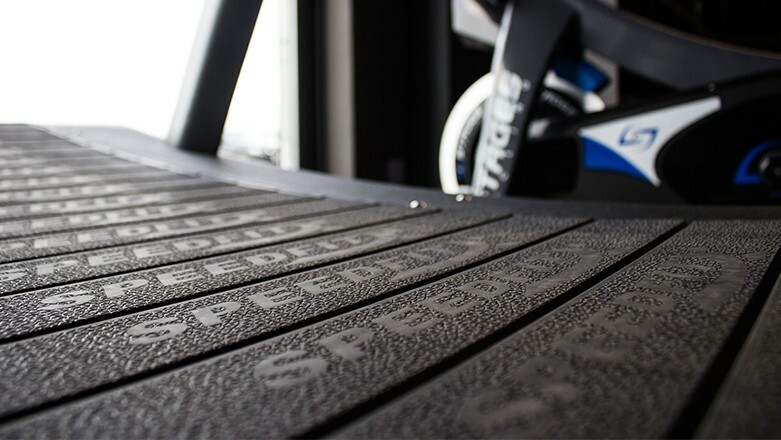 HIIT consoles will usually show distance, time, calories, laps and heart rate. They show exactly what someone undertaking a HIIT workout would want to know: how long have they been doing the exercise, what distance they travelled in this time, and how hard have they pushed themselves. Many consoles will also let you program work/rest timings for the sessions so the user can focus only on the workout and not on a secondary timer. The benefit of HIIT cardio machines showing the heart rate data is that instructors and users can more accurately achieve the appropriate exercise intensity. This allows the best trainers to focus on achieving periods of work in a target heart rate zone instead of measures like watts, distance or calories, which would be different for users of varying fitness levels. A competitive market has now emerged for machines focusing solely on HIIT. 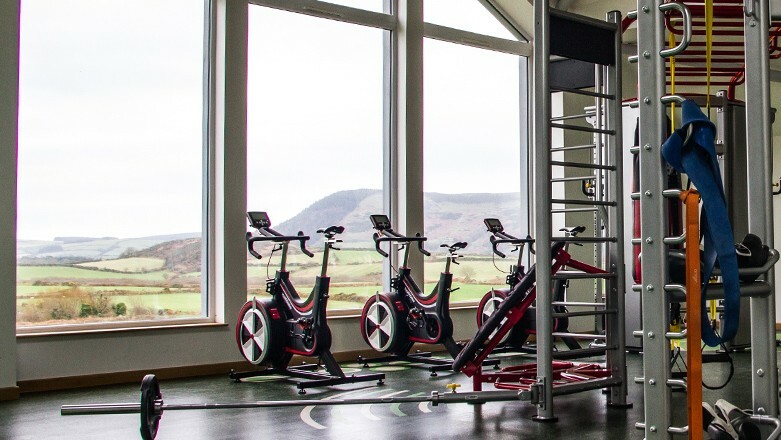 Equipment such as curved treadmills, ski ergometers and air bikes as well as old favourites like indoor cycling bikes and rowers are incredibly popular in gyms across the country. Here are some suggestions for great cardio machines that will take your HIIT training zone to the next level. We have just set up a new HIIT cardio category which will allow you to browse through the best the industry has on offer when it comes to bringing your HIIT workout to the next level. This entry was posted in Buying Guides, Knowledge & Advice on 8th February, 2017 by Eva Deckers.